Following his fourth studio album, acclaimed musician Chaz Bundick, otherwise known as Toro Y Moi, brings to the screen a sonic experience featuring all new live arrangements. 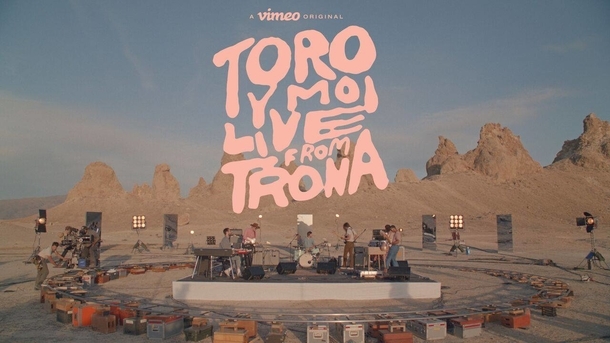 Filmed in the middle of the Mojave desert, Toro Y Moi: Live from Trona presents an entire concert album, recorded live beneath the geological wonders known as the Trona Pinnacles. 9-time Staff Picked director Harry Israelson breaks down the fourth wall, revealing the filmmaking process by making equipment, lights and crew visible at all times. With no audience in attendance and a spectacular natural environment that feels otherworldly, the film pays homage to rock films of a previous era. As the sun sets behind the pinnacles, which formed thousands of years ago in what used to be a prehistoric lake, the supernatural setting weaves seamlessly together with 13 psychedelic tracks, all recorded on site over the course of an entire day. 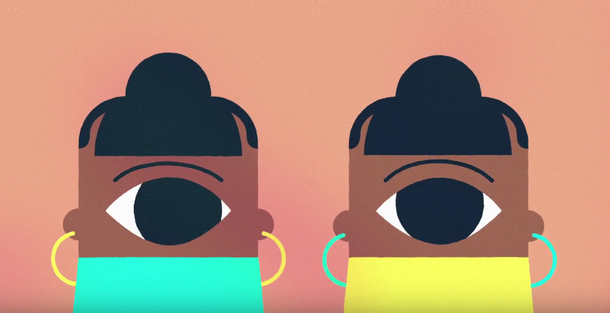 Through the use of hand-drawn animations and behind-the-scenes VHS footage, Live from Trona offers viewers a surreal sonic experience, placing you front row at a private Toro Y Moi concert. Das Album “The Tortoise & The Crow” erschien zwar schon 2014, aber mit “People Of The Sun” erschien jetzt ein weiteres Video der Living Legends Mitglieder. 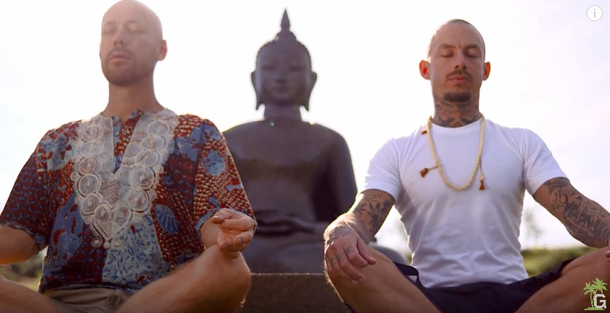 Bleibt zu hoffen, dass The Grouch & Eligh bald mal wieder live in Berlin zu sehen sind! Da kündigt sich wohl eine neues Album an! Neue Single der Neuseeländer Ladi6!